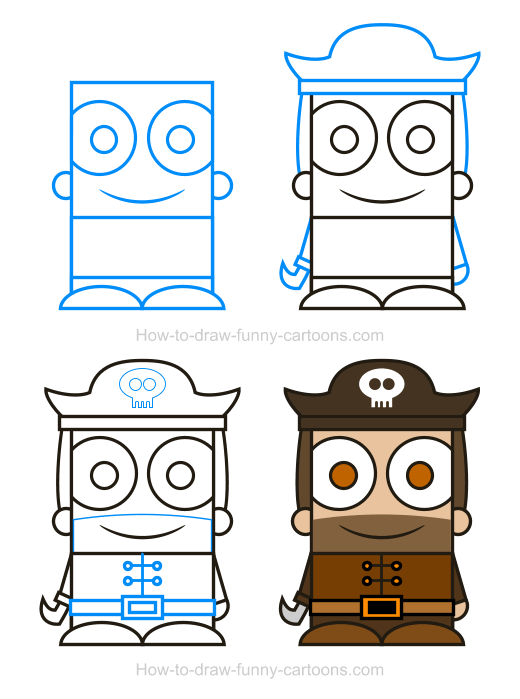 Creating a cute pirate clipart can be done easily with this fun tutorial perfect for anyone! 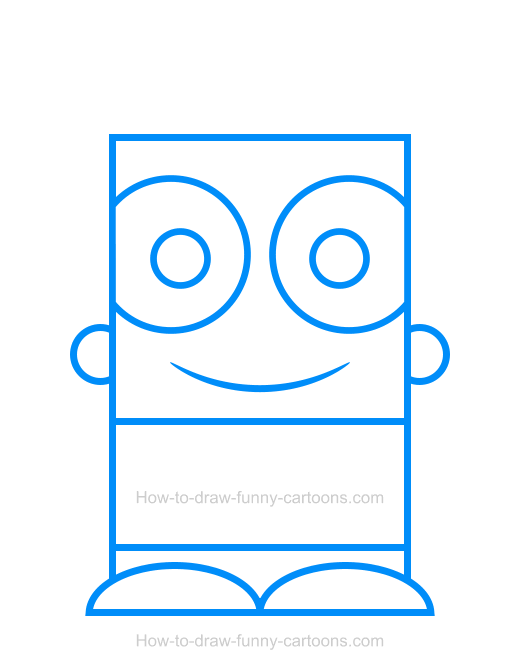 Using basic elements, I will help you draw this fun cartoon character in just minutes. All you need to do is create basic shapes and assemble them together to end up with a fun illustration as visually amazing as the one shown below. 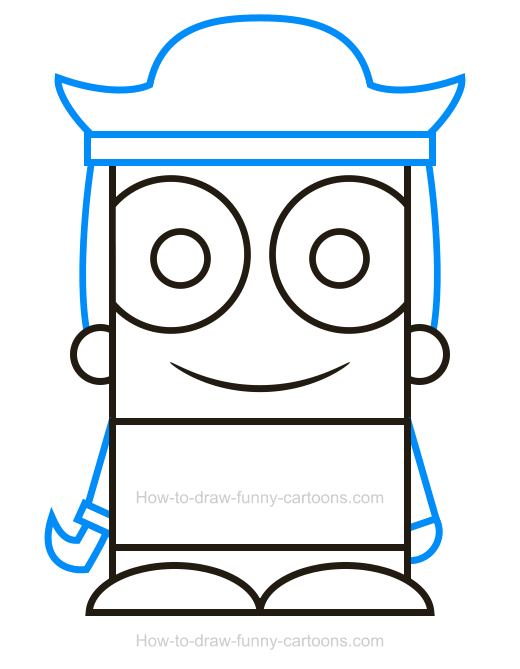 Next, you can draw the hat on top of the head using a long curved lines with pointed ends. Hair can also be added on both sides of the head. The arms are done using rectangles and the hand is made from a small circle. The right hand is replaced by a small hook made from broken lines. Inside the hat, draw a small skull mostly made from circular shapes. A long line is drawn over the mouth to create the beard. On the shirt of the character, more details are added using lines and circles. 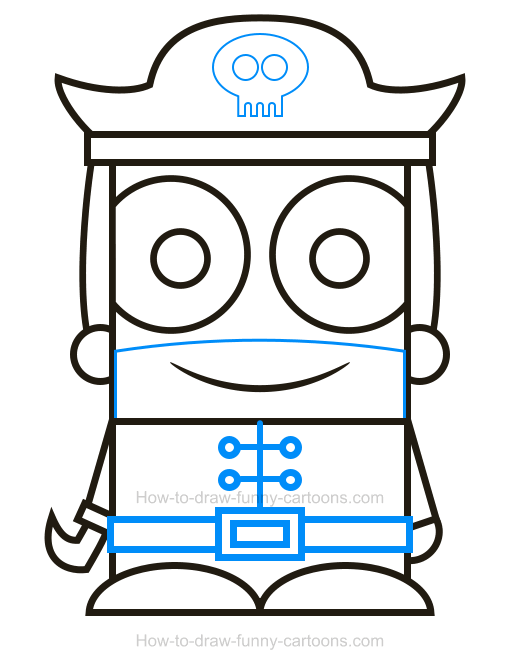 A belt done using multiple rectangles is also sketch near the stomach of the cartoon pirate. Yes, it's time to add colors! Hopefully, you are currently able to use multiple brown colors to fill in this illustration. Areas like the pupils, the shirt and the shoes can be brighter while the hat, the hair and the arms must be darker. The skull can be white, just like the eyes. The center part of the belt and the buttons on the shirt are mostly orange. Excellent! 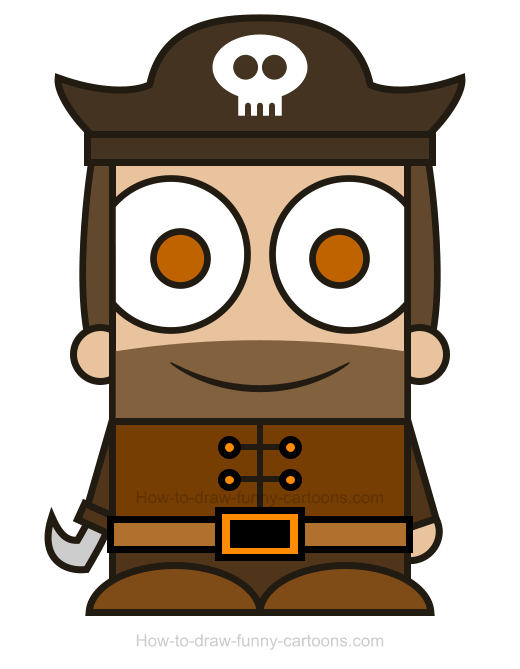 This pirate clipart is ready to conquer the world!